Versace introduce Eau Fraiche, a lighter version of the Versace Man fragrance. The man whose strength is in his soul. Top Notes: lemon, bergamot, rosewood, and rose. Heart Notes: cedar, tarragon, sage and pepper. Base Notes: amber, musk, saffron and woody notes. 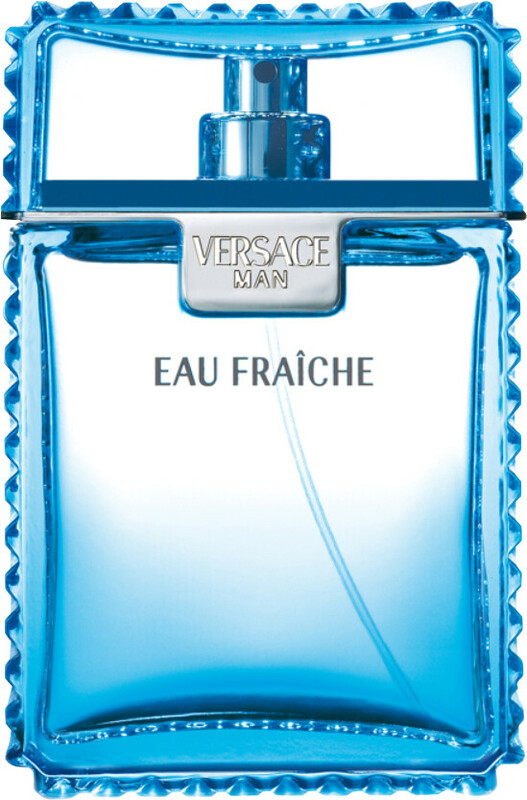 *FREE Versace Man Eau Fraiche Eau de Toilette 5ml when you purchase the 50ml or above Versace Man Eau Fraiche Eau de Toilette Spray**. * One FREE Versace Man Eau Fraiche Eau de Toilette 5ml per order. **While stocks last. This product will be added to your basket automatically if your order qualifies for a free gift. 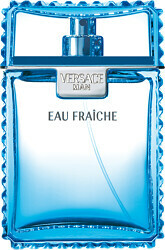 Versace Man Eau Fraiche Eau de Toilette Spray is rated 4.7 out of 5 by 3. Rated 5 out of 5 by Bear41 from NICE CRISP FRAGRANCE I like clean crisp fragrances that are not too over-powering. This one certainly meets my criteria. For the quantity (200ml) the price is very acceptable. I will purchase it again. Rated 5 out of 5 by Valdemar from One of the best I do not like too fresh perfumes, but this one - one of the my favorites! I found it very clear fragrance with a light note of lemon, very good for summer, You will like it, I am sure. Rated 4 out of 5 by Paul99 from Summertime loveliness Opens with an invigorating lemon blast with some pepper in there too. This part is great when it's a hot day; very refreshing indeed. The dry down is even better with some smooth, creamy woods joining in. Longevity is amazing for a citrus scent (8 hrs plus on my skin) with decent silage too. Great summertime fragrance and a cut above nearly all other aquatics; nice bottle too. Give it a try; you won't regret it.